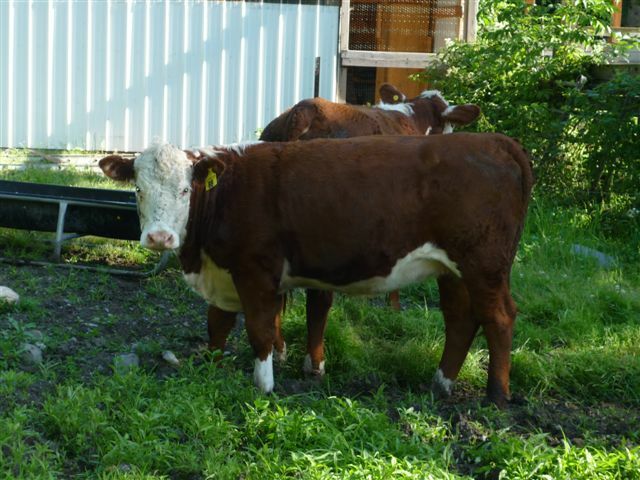 Meet Alwen, the Polled Hereford, courtesy of John and Theresa Jonasson. A grand lady, as is her namesake, the serene and noble sorceress who is the heroine in The Well of Tears (The Dream Stewards Book One). I am pleased to say that Alwen the Hereford is a bred heifer (which means she is not destined for the dinner table, thank the Gods!) and is currently expecting a calf. I am so proud!